Seanna Brown is a partner in BakerHostetler’s Litigation Group, where she focuses her practice on appellate and complex commercial litigation in federal courts, with an emphasis on the liquidation of brokerage firms and bankruptcy litigation. She serves as a principal deputy in the liquidation of Bernard L. Madoff Investment Securities LLC, providing legal strategy and oversight of the Trustee’s multi-billion dollar recovery effort. Seanna manages the Trustee’s large, multi-party disputes with billions of dollars at stake, from the Bankruptcy Court to the United States Supreme Court. She represents the Trustee on case-wide issues and in individual adversary proceedings, from complex motion practice and discovery through trial to final appeal. Seanna argued and won an appeal at the Second Circuit worth more than $1 billion to the BLMIS estate, and served as lead trial counsel on the first of the Trustee's Madoff cases to go to trial. A co-chair of BakerHostetler's Pro Bono Committee, Seanna devotes a significant portion of her practice to pro bono service -- particularly clients in need of appellate representation -- and is currently representing two death row inmates in their post-conviction relief efforts in Georgia and Alabama. She is also the co-coordinator for unassigned associates in the firm's New York office, providing younger attorneys with mentorship and training. Represents the SIPA Trustee in the bankruptcy, district and appellate courts, authoring numerous motions and appellate briefs on case-wide issues, including the definitions of "net equity" and "customer" under SIPA; the proper interpretation of section 546(e) of the Bankruptcy Code; and the applicability of the presumption against extraterritoriality to the BLMIS liquidation. Has substantial experience defending against fraudulent transfer and preference actions, including a recent case in the Delaware bankruptcy court. Served as lead trial counsel on the first of the Trustee's Madoff cases to go to trial, achieving a complete victory for the Trustee at trial. Before trial, Seanna deposed Mr. Bernard Madoff and several other former BLMIS employees. Served as lead counsel to the SIPA Trustee in various evidentiary hearings, particularly those that impact “net equity” under SIPA. Served as lead counsel in resolving the cross-border insolvency issues relating to BLMIS’s London operation, including resolving proofs of claim filed in the liquidation of Madoff Securities International Limited (UK). Serves as a key member of the Trustee’s team investigating and litigating the Trustee’s claims against hedge funds, investment banks and other financial institutions and fiduciaries involving complex derivative and financial products. Handles significant motion practice for the Trustee, including motions to distribute more than $11 billion to former BLMIS customers, motions for court approval of large settlements for the BLMIS estate, in limine motions, motions for substantive consolidation, motions to withdraw the reference, motions for interlocutory appeals, and motions for direct appeals to the Second Circuit. Negotiated several significant settlements that resulted in large recoveries for the BLMIS estate. Represents the Trustee in all dealings with the U.S. government, including the Government Accountability Office, the U.S. Attorney’s Office and the Securities & Exchange Commission. Represented a property owner in an appeal to the Second Circuit in a civil forfeiture case. Represented the National Women’s Law Center as amicus curiae on Title IX issues in Circuit courts. Represented a global pharmaceutical company in class action litigation regarding certain drug products. Represented a qui tam relator against two New York hospitals regarding Medicaid fraud. Defended against fraudulent transfer and preference actions, including a recent case in the Delaware bankruptcy court. Represented limited partners in a contested dissolution of limited liability company. Represented restaurant industry investors in dispute with controlling members of limited liability company. Represented an artist in connection with copyright infringement claim on musical composition. A co-chair of BakerHostetler's Pro Bono Committee, Seanna maintains a substantial pro bono practice in many areas of public interest law, with a particular focus on appellate representation and death penalty work. 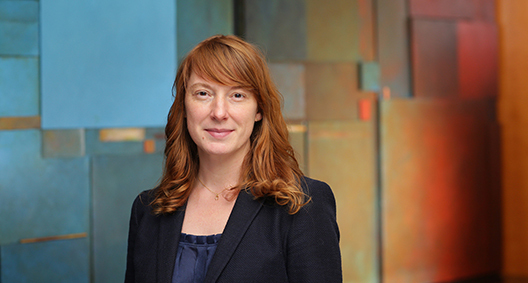 Seanna serves on the Pro Bono Panel of the United States Court of Appeals for the Second Circuit and works with the New York State Bar Association Pro Bono Appeals Program. For over a decade, Seanna has worked tirelessly on behalf of a death row inmate in Georgia in his post-conviction capital habeas proceedings before Georgia state and federal courts, developing a deep understanding of state and federal post-conviction habeas law and appellate procedure. Seanna has also handled numerous immigration, asylum, and family law matters. Obtained a reversal by the Second Circuit of the orders of an immigration judge and the Board of Immigration Appeals denying an indigent client withholding of deportation. Obtained a reversal by the Appellate Division, Second Department of a trial court order that denied a father access to his nonbiological child. Represented the National Women’s Law Center as amicus curiae to the Tenth Circuit on issues relating to Title IX. Partnered with the American Bar Association’s Death Penalty Representation Project to challenge revisions to habeas corpus procedures in various states. Represented a Georgia death row inmate for more than ten years in his capital post-conviction habeas litigation in Georgia state and federal courts, including an evidentiary hearing before the Georgia trial court, appeals up through the Georgia Supreme Court and the United States Supreme Court, and ongoing litigation in the federal district court in Georgia and the 11th Circuit. Represented an Alabama death row inmate in his capital post-conviction litigation in Alabama federal courts. Sought special immigrant juvenile status on behalf of numerous children in proceedings before the New York Family Court, the United States Immigration Court, and the Appellate Division, Second Department. Assisted the American Constitution Society in various research and policy-related matters. Served as special assistant corporation counsel for the Law Department of the City of New York in 2014. Conducted and defended numerous depositions on behalf of the city of New York in various tort lawsuits.